Children in low-income families are going hungry and are being exposed to feelings of shame and social exclusion because of lack of money and food, according to new research from UCL, published by the Child Poverty Action Group. The research finds free school meals are not accessible to many children whose parents are on a low income and even when they are, they may not provide enough food for children’s needs, especially in the teenage years, given daily allowances of just over £2. Some children in the study who came from the most severely deprived families, with no recourse to public funds (NRPF), simply did not eat at all during the school day. The book, Living Hand to Mouth? Children and food in low-income families, written by researchers at the Thomas Coram Research Unit at the UCL Institute of Education, tells the stories of 51 UK children and their experiences of food at home, at school and in social settings. Part of a European study, the research involved 45 low-income families in two areas of South East England (an inner London borough and a seaside town). Focusing on children’s first- hand accounts and parents’ perspectives, it provides important new evidence on children’s lived experience of food poverty and its causes. In the book, Shaniya, a lone mother of three children said, "last week I didn’t even eat for four days... and I have to lie to my kids and tell them I’ve eaten so that they’re okay, because as long as my kids are eating then I’m okay." and Emmanuel, age 14 from inner London, whose family has NRPF said "I was so hungry..it as like I got stabbed with knife and it's still there." Around one quarter of children in the study went hungry at times, despite the sacrifices their parents made. One teenage girl whose father (a widower) in a low-paid NHS job had £2 per day to spend on food at school (as did her siblings). She was sometimes forced to divide this so that she had £1 for a snack at break (by which time she was hungry) and £1 for lunch, which meant she did not always eat a proper meal. While some schools do not differentiate between pupils entitled to free school meals and those who pay, other schools identify children on free school meals in particular by restricting the food options that they can select. This caused embarrassment for children. Children whose families have NRPF - usually because of unresolved immigration status - are not entitled to free school meals. But while some schools fund lunches for these children, others do not, with the result that children in these families simply go hungry during school. Just over half the young people did not have money to spend on food with their friends. Most children and parents in the study were knowledgeable about dietary recommendations. Many parents said they would like to be able to afford more fresh vegetables and fruit. Just over half (26 of 48) of the children who completed the question in the self-completion questionnaire reported eating vegetables at least 5-6 times a week and only just over a third (17 of 47) reported eating fruit at least 5-6 times a week – far lower than the recommended five a day for fruit and vegetables. Rebecca O'Connell (UCL Institute of Education) said, "In the UK, we are living in a period of deep political and economic uncertainty. Given the UK’s planned exit from the European Union, the implementation of further cuts to welfare benefits and rising inflation (including food prices), the plight of families who are struggling to feed themselves is unlikely to improve. Food poverty and its effects on children’s and young people’s physical and emotional wellbeing is a matter of grave concern. In the face of piecemeal responses and government neglect, the outlook is set to remain bleak. Radical change is needed. To tackle the food poverty of children and families, the government should make use of research on budget standards to ensure that wages and benefits, in combination, are adequate for a socially acceptable standard of living and eating, which recognises the fundamental role of food in health and social inclusion". 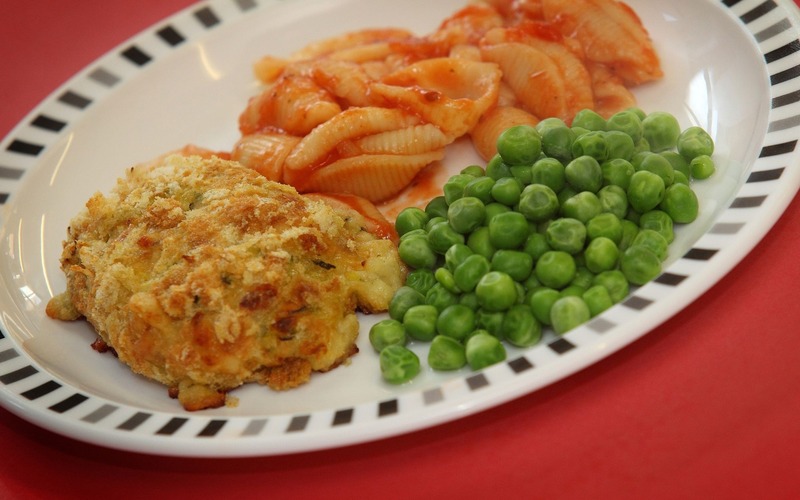 Commenting on the research findings, Chief Executive of Child Poverty Action Group Alison Garnham said, "The young people in this study make the case for universal free school meals more powerfully than anyone else could. Their hunger, their shame, their sense of being cut off from learning and social opportunities – all because parents can’t afford enough food - are appalling in a society that believes every child matters. Universal free school meals should be part of the solution but wider Government action is needed – urgently - to eradicate the poverty that underlies children’s hunger. As a minimum, free school meals should be restored for all families on universal credit. It is time to rebalance family budgets after years of austerity and rising child poverty. The priority should be lifting the freeze on working and non-working benefits so that they rise again with inflation." Funding for the study was provided by the European Research Council and funding for the book was provided by UCL Innovation and Enterprise's Knowledge and Exchange and Innovation Fund.